A select few places in the world are synonymous with cycling. Vietnam is one of them. Think of this country and you might invariably picture a worker in a conical hat pedalling across rice levees, or girls in ao dan dress riding rigid old fixies to school. The appeal of the place on a bike has spread across borders. 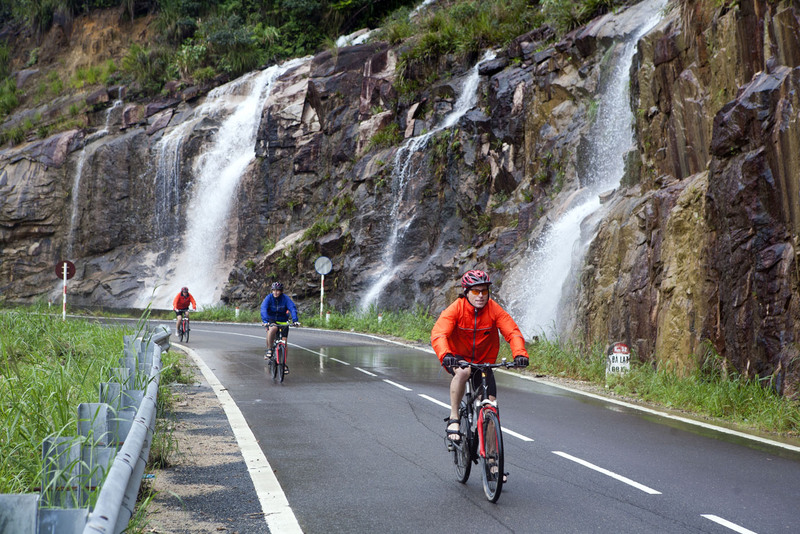 Vietnam is one of the best-selling – if not the best-selling – cycling destinations for cycling tour operators in Australia. 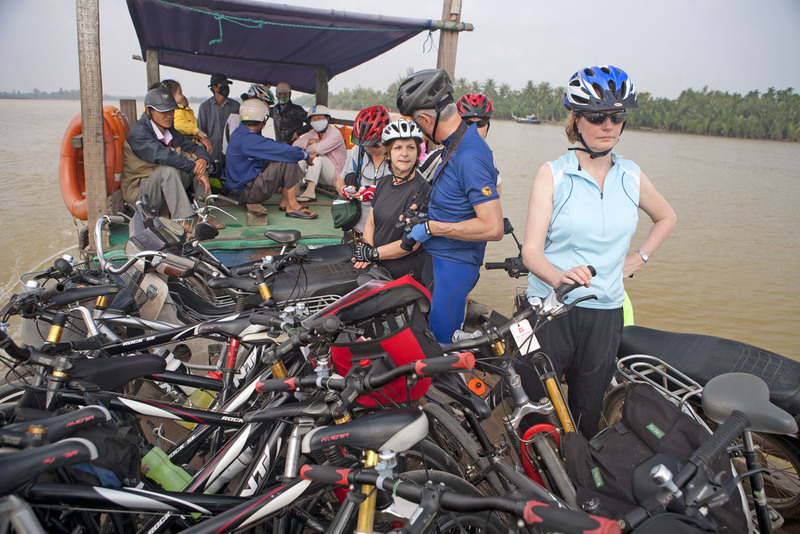 For many, bike travel in Vietnam is very much a when-in-Rome (or Hanoi) experience. My own cycling journey through central Vietnam began in the former royal capital of Hue, pedalling out through an ocean of rice fields. Over the coming days, the ride would flicker from timeless village life to burgeoning cities. At times we pedalled along the coast; other times we veered up onto the highlands, grinding through the greening slopes, weaving around the coffee beans and rice laid out across the roads to dry. Daily the views changed, but the welcome always stayed the same. Children sprinted from schools and homes to wave, shout and high-five us as we passed. Elderly men and women simply grinned, often with lips outnumbering teeth. The journey took us south to gorgeous Hoi An, the French colonial town where silences settled over the streets as they closed each night to motorised traffic. Street lights burned faintly, transforming it into arguably the most enticing town in Vietnam. Crossing the Thu Bon River on a ferry here, we continued along the coast on roads balanced atop sand dunes to the sombre site of the My Lai massacre. Ferrying across the Thu Bon River. Turning up onto the highlands, the climb was sustained but manageable, the hills stepping up beside us in rice terraces. Up here, Vietnam’s claim to be the world’s second-largest coffee producer seemed no exaggeration – the roads through the highlands resembled an inland sea of drying beans. At the French hill station of Dalat (complete with its replica Eiffel Tower), we turned back towards the coast – the chill of the highlands soon to become the heat of the Nha Trang beaches. Waterfalls poured over the road, and coffee bushes turned to blurs as we gained speed. It was the ultimate caffeine rush. Descending from Dalat to Nha Trang. * Adventure before Avarice cycled courtesy of World Expeditions, which runs a 15-day Vietnam by Bike trip,priced from A$2890. Cheers Brad. My life is organised around travel on one hand and kids on the other – a fine balance but a good one. Sounds nice and a delicate balancing act.